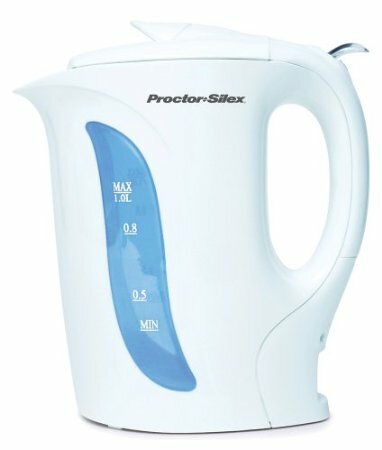 This electric 1 liter capacity kettle comes off its cord so that you can carry it around the dining room for serving. It has a heating element that will always be under the level of the minimum amount of water as indicated on both sides of the kettle by the water level indicators. The lid can easily be locked and opened for filling or serving.